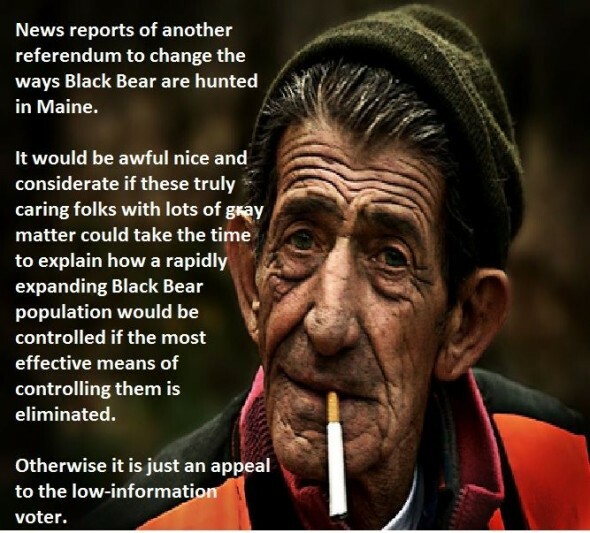 Wayne Pacelle of the Humane Society of the United States (HSUS) spreads lies and unsubstantiated claims about black bears and bear management. Clearly his knowledge of bears and bear management is non existent. Remember, HSUS and the Wildlife Alliance of Maine present themselves as being advocates for “fair” hunting practices. This is a con job as both groups are driven to end all forms of hunting. This is just another step toward that end.